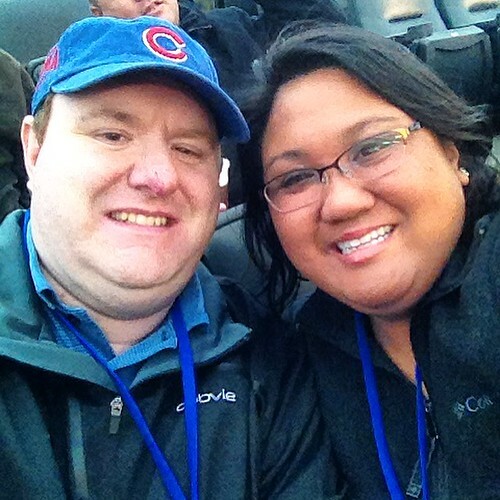 It's baseball season and the usual gathering involves beer and hot dogs and peanuts and well, you get the picture. 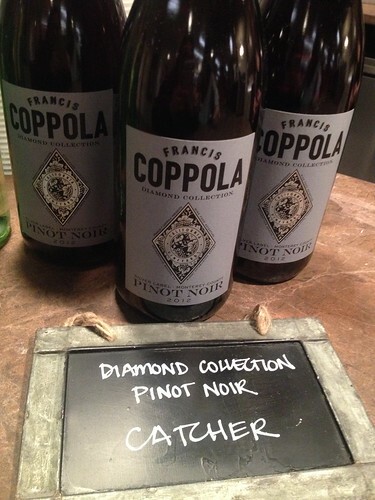 But we're stepping things up a bit and we were thrilled to have a chance to hang out with our friends of Francis Ford Coppola Winery for a ball game. 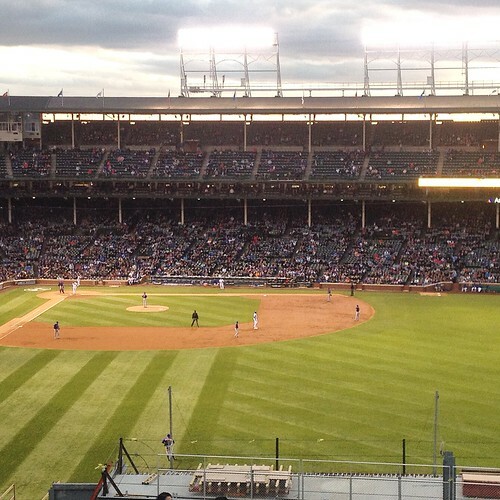 The Chicago Cubs vs New York Mets were playing at Wrigley Field and rather than popping a can of beer, we decided to sip some amazing wines instead. 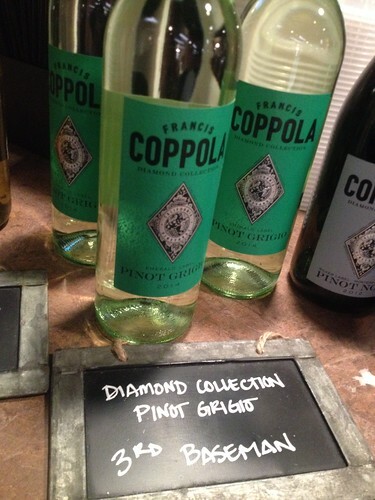 The "Diamond on the Diamond" event was a fun night of baseball, wine and the opportunity to mingle with Coppola Winery's winemaking team Evan Schiff and Tondi Balkan. and pear flavors enveloped in a crème brûlée finish. 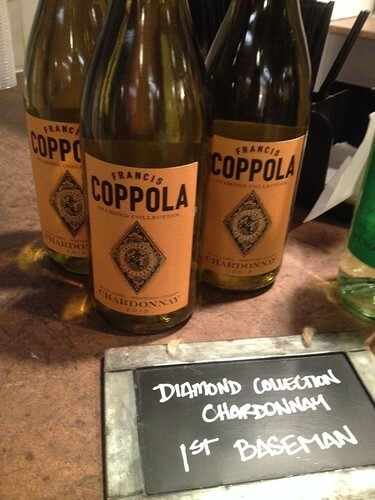 Awarded 'Best of Class' in 2012 San Francisco Chronicle Wine Competition. The Chardonnay reflects the distinctive personality of Monterey vineyards, which give rise to juicy apple, guava and melon flavors. Whole-cluster pressing and a combination of barrel and stainless steel fermentation ensures that the creamy texture and caramelized sugar finish is balanced by a crisp acidity. of sunny days and cool Pacific nights. and cold soaked for 48 hours, intensifying the color. Claret is a Cabernet Sauvignon-based wine, blended in the classic Bordeaux style. Their prize offering (and my absolute favorite), the ultra premium Claret, sports a label that honors the first Cabernet Sauvignon blended in a Bordeaux style by Gustave Niebaum in 1910. 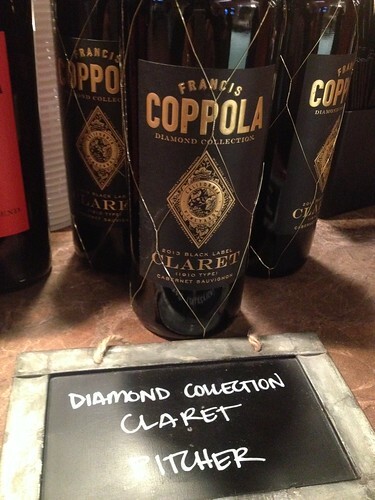 Claret is a term originally coined by the British to describe Cabernet-based wines. This Cabernet Sauvignon, Petit Verdot, Malbec and Cabernet Franc blend is alluring and sophisticated; it is memorably lush with a tapestry of smooth tannins and succulent flavors of wild berries, plum and anise. Borrowing tradition of European wineries, we add gold netting to bottle to signify outstanding quality of wine. Sourced from the same core of Merlot grape-growers since premiere vintage in 1997. 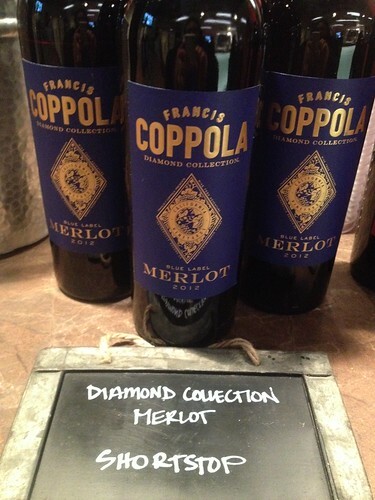 The Merlot combines fruit from Napa, Sonoma and Monterey. The flavors and textures unique to each region harmonize perfectly to create a wine that has dark succulent fruit balanced by natural acidity. Intense aromatics of raspberry and blueberry lead to flavors of crushed berries, vanilla and leather, which are wrapped up in a soft, smooth tannin structure. in Napa, Sonoma, Lodi and El Dorado. Blend of Zinfandel, Syrah, Petite Sirah, Cabernet Sauvignon & Merlot. Inspired by Scarlet O’Hara of Gone With the Wind, a cinematic masterpiece, a story of hope, survival, and love that transcends life’s most tumultuous events. Her role, at the center of it all, a complicated heroine with a rebellious personality, a woman who left such a lasting impression on audiences that she became an American icon. Like its namesake, our Scarlet Label Red Blend is complex, tempestuous, and alluring. It has all the sophistication and refinement of Scarlet O’Hara, but a bold presence and rich, spicy nuances that make it anything but demure. Made from a blend of Zinfandel, Syrah, Petite Sirah, Cabernet Sauvignon and Merlot, this wine offers true distinction. 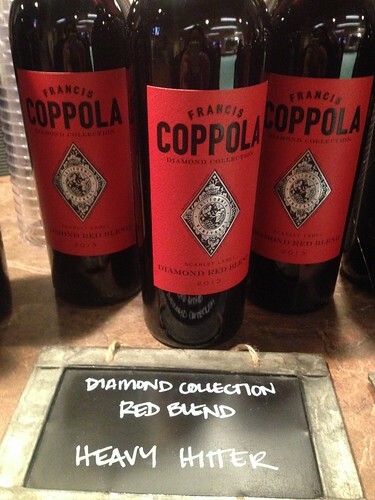 That’s what makes Scarlet Label Diamond Red Blend poised to be another classic, just like the Scarlet it is named after.